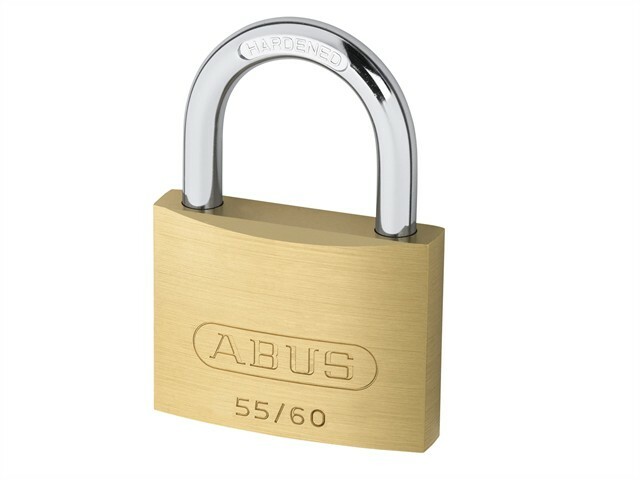 The ABUS 55 Series Brass Padlocks have inner components made from non-corrosive materials. Pin tumbler cylinder with anti-pick mushroom pins which resists picking, a hardened steel shackle which resists hacksaw attacks and is double bolted 30mm and above for increased shackle strength. Long shackle (HB) version available.